Songs of Fall . . .
Our Website and Facebook pages serve as a clearinghouse for local and regional opera, concert, and recital information, with links to other music organizations in our area. Please visit our Website at operaguildofrochester.org. 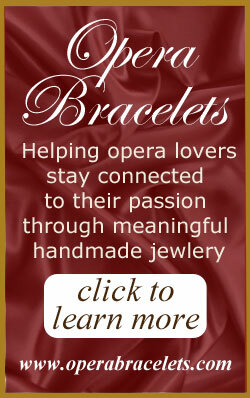 For up-to-date information on opera-related news and events, please visit us on facebook.com/OperaGuildofRochester. Some events are now being recorded. Click the YouTube logo to visit us there. 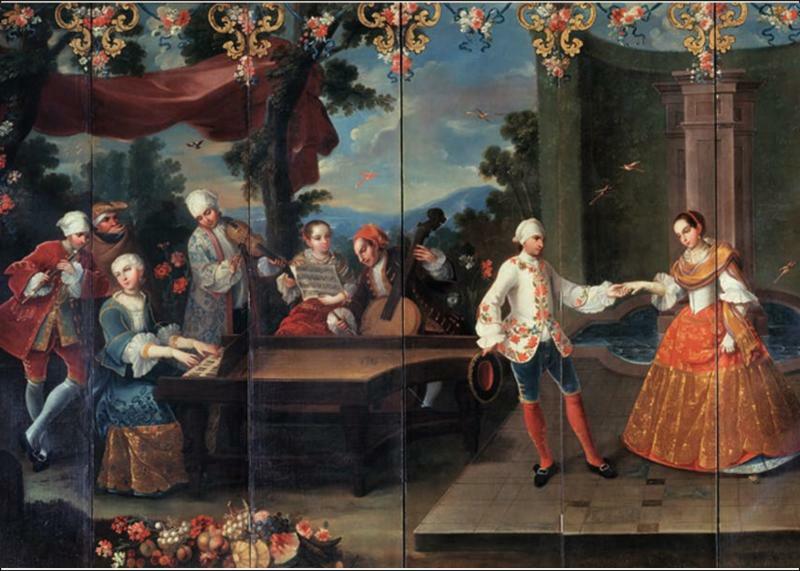 Early opera was comprised primarily of solos and orchestral interludes. But in the middle of the 18th century, composers and librettists began to recognize and explore the unique and varied dramatic potential of ensembles of voices, resulting in more adventurous character groupings, vocal textures and formal structures. This lecture will explore some notable examples. An account of how Mozart and his librettist Lorenzo da Ponte produced this opera, which is still one of the most popular on the opera stage today. The details of the plot will be illustrated by relevant video clips from the MET performance of November 1998, with Bryn Terfel, Cecilia Bartoli, Renee Fleming, Dwayne Croft and Heinz Zednik. Mozart's genius as a master of ensemble opera, his musical imagination, the characterization of each performer are all apparent, the work requiring seven people who can both act and sing this difficult music. Sept 12, Lecture, "E Pluribus Unum"
Sept 26, Lecture, "Le nozze di Figaro"
Opera and musical theater in an informal atmosphere, free! Sunday performances at The Little are followed by informal meet-ups in the café to chat about the opera with other fans. Everyone is welcome. Verdi's version of French "grand opera" is a story of love, patriotism, loyalty and betrayal, set amid the splendor of the pharaohs and the beauty of the countryside. Anna Netrebko sings Aida, Anita Rachvelishvili is Amneris, Aleksandrs Antonenko is Radames, and Nicola Luisotti conducts. Mark Elder conducts the Met's first new production of this opera in 20 years, featuring a monumental Temple of Dagon, under which Samson crushes his enemies in the last act. Roberto Alagna and Elina Garança, who sizzled in Carmen together not long ago, play the title characters. Soprano Eva-Maria Westbroek sings Puccini's gun-slinging heroine in this romantic epic of the Wild West, with the heralded return of tenor Jonas Kaufmann in the role of the outlaw she loves. Baritone Zeljko Lucic is the vigilante sheriff Jack Rance, and Marco Armiliato conducts. Based on a novel by Winston Graham, this new opera by Nico Muhly was commissioned by the Met. It tells the story of a beautiful and elusive woman and the man who pursues her. Mezzo-soprano Isabel Leonard and baritone Christopher Maltman sing the principals, with Robert Spano at the podium. Yannick Nézet-Séguin conducts Michael Mayer's richly textured new production, featuring a dazzling 18th-century setting that changes with the seasons. Soprano Diana Damrau plays the tragic heroine, Violetta, and tenor Juan Diego Flórez returns to the Met for the first time in five seasons to sing the role of Alfredo, Violetta's hapless lover. Baritone Quinn Kelsey is Alfredo's father, Germont, who destroys their relationship. Anna Netrebko sings the title role, based on the life of an actual 18th-century actress who dazzled audiences with her on- and off-stage passion. Piotr Becsala is her lover, Maurizio, and Gianandrea Noseda leads the orchestra. The story is superbly set by David McVicar in a working replica of a Baroque theater. Mezzo-soprano Clémentine Margaine reprises her remarkable portrayal of opera's ultimate seductress, a triumph in her 2017 debut performances of Bizet's masterpiece. Tenor Roberto Alagna is her lover, Don José, in Sir Richard Eyre's powerful production, a Met favorite since its 2009 premiere. Louis Langrée conducts. Tenor Javier Camarena and soprano Pretty Yende team up for a feast of Donizetti's bel canto vocal fireworks-including the show-stopping tenor aria "Ah! Mes amis," with its nine high Cs. Maurizio Muraro is the comic Sergeant Sulpice, with mezzo-soprano Stephanie Blythe as the outlandish Marquise of Berkenfield and Enrique Mazzola in the pit. In what is expected to be a Wagnerian event for the ages, soprano Christine Goerke plays Brünnhilde, Wotan's willful warrior daughter who loses her immortality in opera's most famous act of filial defiance. Tenor Stuart Skelton and soprano Eva-Maria Westbroek play the incestuous twins Siegmund and Sieglinde. Greer Grimsley sings Wotan, Fricka is Jamie Barton, and Hunding, Gunther Groissbock. Philippe Jordan conducts. Yannick Nézet-Séguin leads the classic John Dexter production of Poulenc's devastating story of faith and martyrdom. Mezzo-soprano Isabel Leonard sings the touching role of Blanche and soprano Karita Mattila, a legend in her own time, returns to the Met as the Prioress. Hits from Carousel, Les Miserables, A Little Night Music, Don Quichotte, The Sound of Music and many more! For more information, please send an eMail to Valopera@gmail.com. 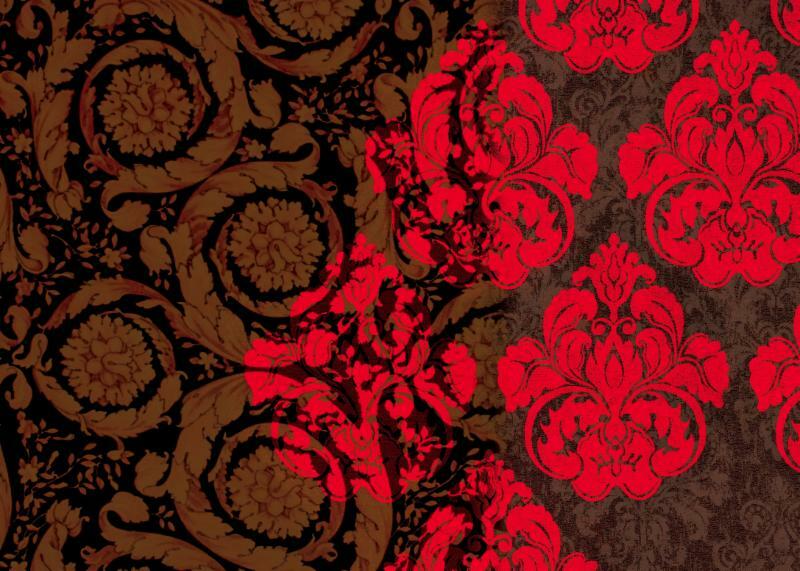 The beloved classic opera by Verdi about a woman who is misunderstood and misguided. Violetta falls in love with Alfredo and loses everything. Memorable and popular tunes abound including the drinking chorus 'Libiamo!' 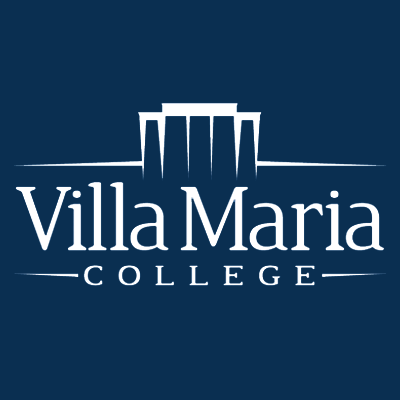 Don't miss a full opera with costumes, sets, chorus and a full orchestra at the majestic 1250-seat Villa Maria College Theatre in Buffalo near Pine Ridge and Doat St. Plenty of parking, easy access and a great acoustic will leave your ears ringing with opera. 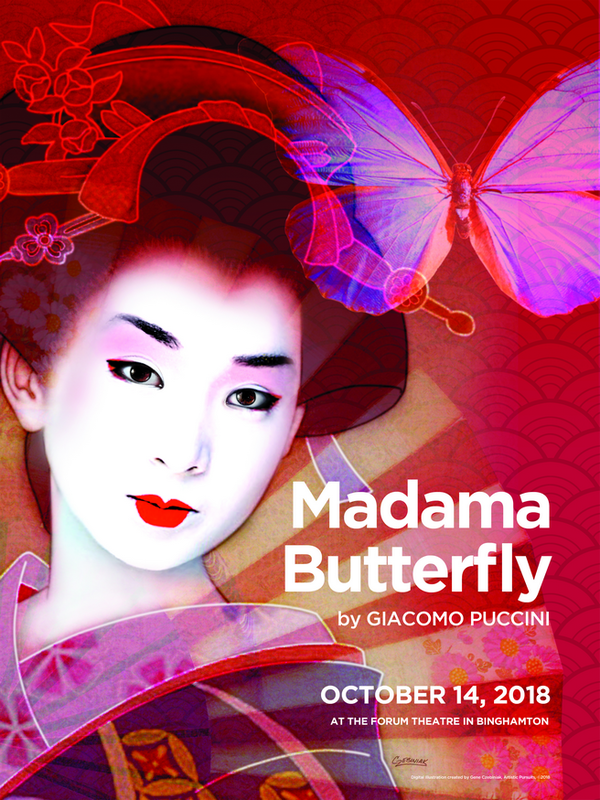 Tri-Cities Opera opens its season with the tragic opera Madama Butterfly. Cio-Cio San, a 15 year old geisha, decides to renounce her occupation and religion to find true love in an American naval officer B. F. Pinkerton. Three long years pass and Pinkerton does indeed return but not to reunite with his ever faithful Butterfly. 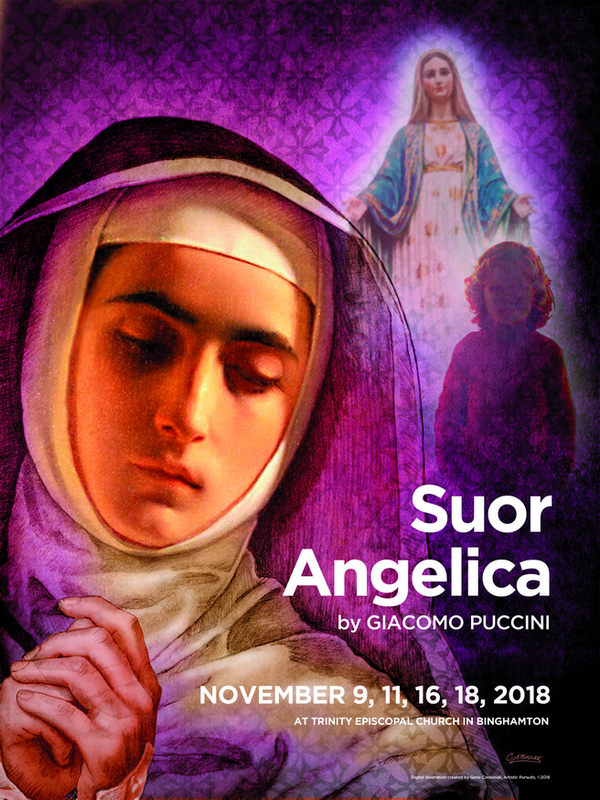 Suor Angelica is a unique one-act opera set in a 17th century Tuscan convent, containing moments of harrowing drama and unequaled redemptive beauty. The story take place over one day and intensifies as it unravels. 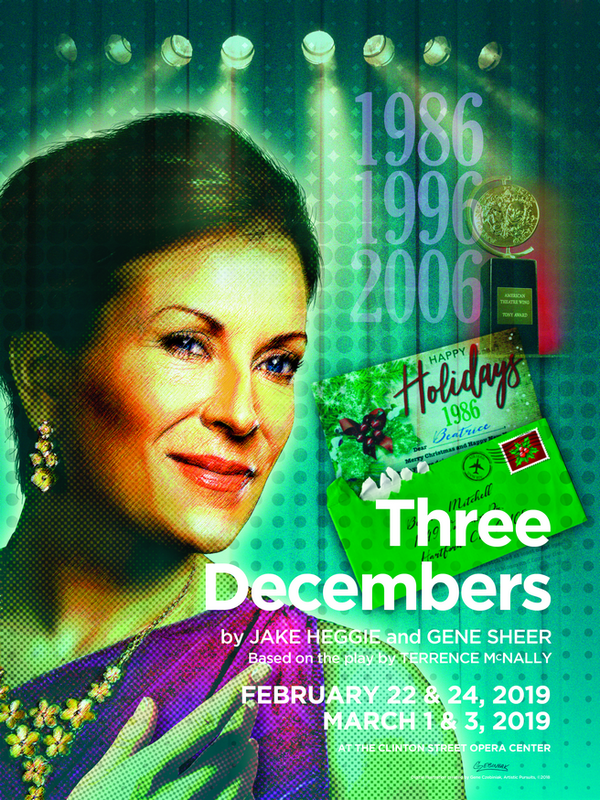 Three Decembers is a 90 minute one-act opera based on Terrence McNally's original script for Some Christmas Letters. The story takes place over three decades of the AIDS crisis, each section recalling the events of a December, as the characters struggle to connect when family secrets are revealed. 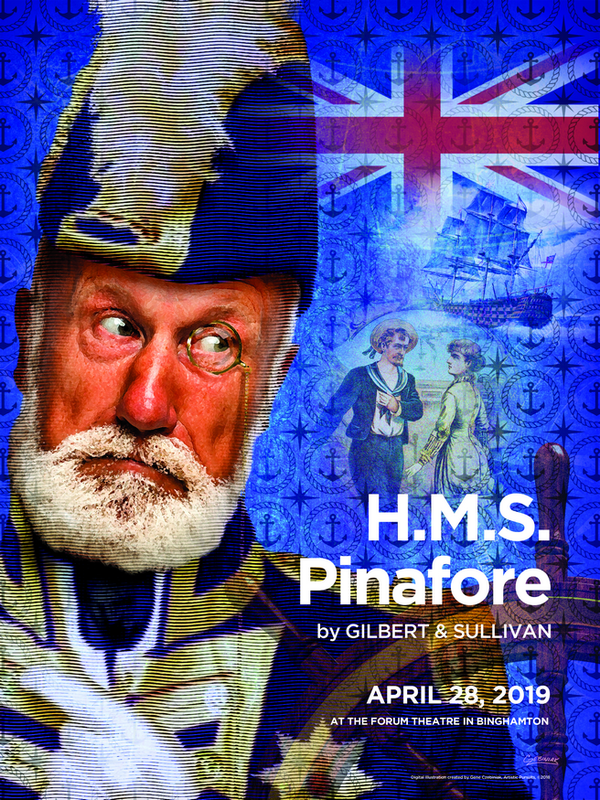 Gilbert & Sullivan's beloved operetta takes place aboard the ship HMS Pinafore. The captain's daughter is in love with a lower class sailor although her father intends her for Sir Joseph Porter, the First Lord of the Admiralty. They declare their love for each other and eventually plan to elope. Will their plan succeed? Our 14th season begins with an array of chamber music performed by our dear musical friends. Music by familiar composers, such as Telemann and Marais, and unfamiliar composers, such as Pfeiffer-and more! It's a musical party as we celebrate with 17th century music and dance from Spain and the New World, including Bolivia, Peru, and Mexico. "The magical duo Bedlam" (Fanfare Magazine) is Kayleen Sanchez, soprano, and Laudon Schuett, lute. 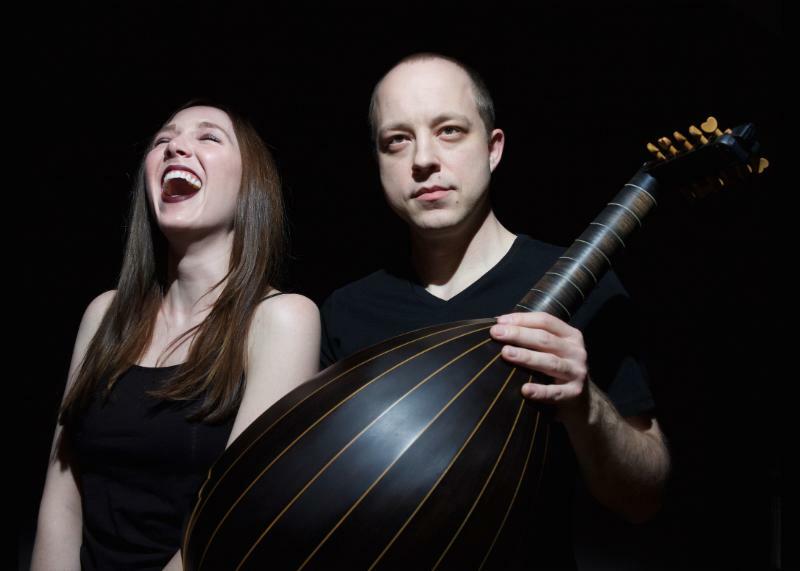 Our first Pegasus Rising artists, they return to Rochester with a program of renaissance French and English lute songs. Sacred, secular, bawdy and tender! A semi-staged concert version of this beloved pastoral opera by Handel. Will the monster Polyphemus woo Galatea to his side? Michael Beattie, musical direction; Emily Cuk, stage direction. Oasis is a national organization for adults age 50 and older, who wish to remain active physically, socially and mentally. Rochester has a thriving chapter located at 259 Monroe Avenue. With lectures and DVDs, we will study six French operas, beginning with the very first: Lully's "Cadmus and Harmonia" (1673), the mythical tale of Cadmus, the greatest Greek hero and slayer of monsters before the days of Hercules, in a spectacular candle-lit production with reconstructed sets and 17th century costumes, just as King Louis XIV would have enjoyed it. Other operas in the program will include Gluck's "reform" opera "Orpheus and Eurydice" (1774), another mythical story involving the attempt by Orpheus to lead his beloved wife Eurydice out of the Underworld and back to the surface of the Earth without looking at her and featuring the beautiful "Dance of the Blessed Spirits;" Offenbach's operetta "Orpheus in the Underworld" (1858), an irreverent parody and satire on Gluck's Orpheus opera which culminates in the famous and risqué "can-can;" Meyerbeer's "Robert the Devil" (1831), one of the first grand operas to be performed at the Paris Opera, in which Robert, trying to win the hand of Isabella, enlists the magical powers of his mysterious friend Bertran who wants Robert to sign away his soul to the devil; Gounod's ever popular and tuneful "Faust" (1859); and Debussy's sensuous and tragic love story adapted from Maurice Maeterlinck's symbolist play "Pelleas and Melisande." Fee $70.00 for 12 classes. You may register online beginning August 21 at https://www.oasisnet.org/Rochester-NY/Classes or call Oasis at 585-730-8800 from 9am-3pm for further information. The Guild's significant financial support of Finger Lakes Opera was again well rewarded. On August 12, I attended the matinee performance of Die Fledermaus, at which a full house thoroughly enjoyed Strauss' comic masterpiece. At both the opera and the Opera Pops concert the previous evening, the orchestra, led by Music and Artistic Director Gerard Floriano, performed beautifully, and the opera cast carried off singing, dancing and drama in fine style. 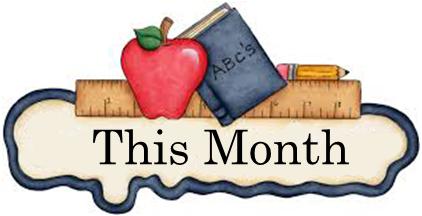 If you haven't made it to Canandaigua yet, mark your August 2019 calendar and don't miss what is sure to be an equally good season next year. And if you haven't made it to a Bravo Night yet, we have one coming up on September 27 at the Little Theater Café from 7-9 pm. These are opera and musical theater performances by young local artists in an informal setting, with no admission charge. An exciting development is our new YouTube channel. Available so far are video clips of the Finger Lakes Young Artists' opera scenes at the Summer Soirée, and selections from previous Bravo Nights. To access them, Click Here. Welcome to fall, the season of new beginnings and the return of autumnal pleasures! Please consider the Opera Guild of Rochester among your charitable organizations for 2018-19. Donations to the Opera Guild of Rochester are fully tax deductible and donors will receive an invitation to the Annual Recital in May 2019, which includes a dessert reception with the artists. Enjoy our free Lecture/Listening series, which you can download from the Website at operaguildofrochester.org by clicking on Reading Room. 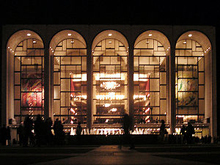 While at our Website you can also learn about our opera program at Temple B'rith Kodesh, and our opera trips to regional opera companies including the Glimmerglass Festival. As an Amici, your contribution in any amount is greatly appreciated. All donation levels receive an invitation to the Annual Recital; those listed below will be given priority until a date specified on the invitation, and at the Comprimario level and above may request extra tickets. Chorus: $50 per person, $80 per couple. You may also mail a check to Opera Guild of Rochester, P.O. Box 25613, Rochester, NY 14625. Please include an email or other address for your tax receipt. This section brings you articles written by Opera Guild docents, previously distributed at HD performances. Other essays previously published as Reader Articles are also published in this section. All these essays are available on the Website in the Reading Room. What do Verdi, the Suez Canal, Albanian Cavalry, the Franco-Prussian War and Indiana Jones have in common? In 1869, at the age of 56, Giuseppe Verdi was an internationally famous composer, an Italian national hero, and a successful gentleman farmer. 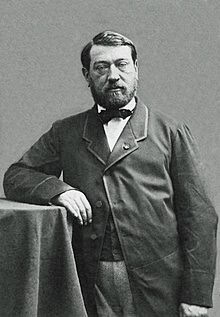 By 1853 he had already completed his most celebrated and successful "big three" operas, Rigoletto, Il trovatore and La traviata, and then had recently enjoyed acclaim with La forza del destino in 1862 and Don Carlos in 1867. 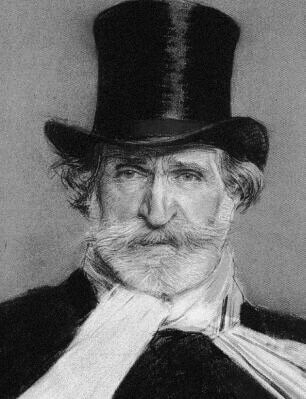 Verdi had often referred to his earlier period, when he was struggling to establish his reputation, as his "years in the galley," churning out work after work, composing and directing, sometimes two works in one year. Now, at the height of his fame, he could afford to relax; he retired to his farm in Sant'Agata, in the Province of Parma near his childhood hometown of Le Roncole. At this point, he could concentrate on only those works that interested him. 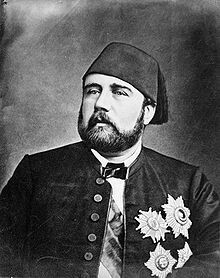 In 1869, the ruler of Egypt, the Khedive, was named Isma'il Pasha. 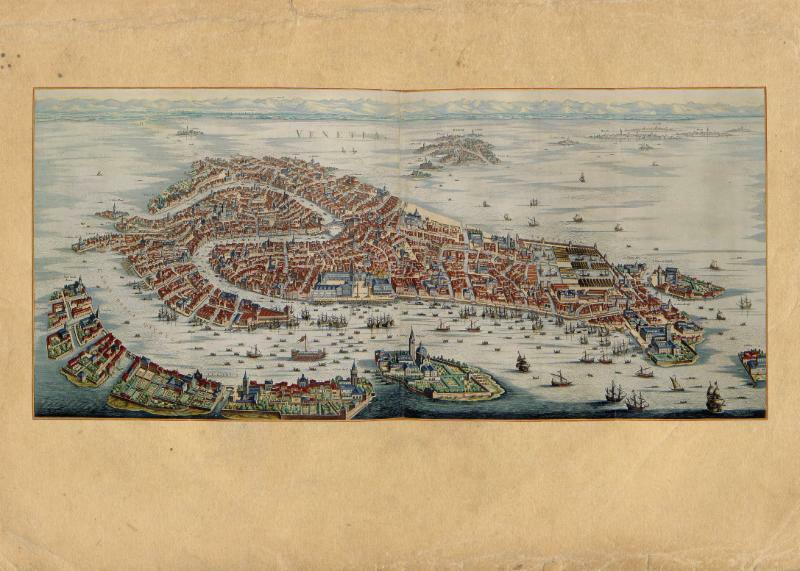 Egypt was part of the Ottoman Empire whose capital was Istanbul, Turkey. The title "Khedive" can be translated as "Viceroy," that is, one who rules in place of the King. Isma'il Pasha was a westernized ruler. He had been educated in Paris and was eager to lead his country in Western ways. He was quoted as saying, "My country is no longer in Africa; we are now part of Europe. It is therefore natural for us to abandon our former ways and to adopt a new system adapted to our social conditions." He traveled frequently to Britain and France where he cut a dashing figure. He made many influential contacts in both capitals. In 1798 Egypt had been invaded by Napoleon's French forces. Needless to say, the Ottomans were not going to accept that, and in 1801, with British and Egyptian assistance, a contingent of Albanian cavalry expelled the French and restored Egypt to the Ottomans. (At that time, Albania was also part of the Empire.) 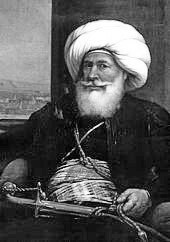 During the power vacuum following the French expulsion, an Albanian cavalry officer, Muhammad Ali, managed to seize power, adopted the title of Khedive and established his dynasty in Egypt. Isma'il Pasha was his grandson. In 1869, the Suez Canal opened for navigation. Work on it had begun in 1859. The French engineer, Ferdinand de Lesseps was brought in by Said Pasha, Isma'il's predecessor. A canal, an international resource, was exactly the kind of thing that Isma'il wanted for his modern Egypt. He wanted to celebrate its opening with an opera, to be premiered in Cairo in an opera house he had just built, and he sought to have the premiere of the opera as the house's first production. Accordingly, he offered Verdi a commission to write such an opera. At first, Verdi declined. Auguste Mariette was a French scholar, archaeologist and Egyptologist. He was born in 1821 in Boulogne-sur-Mer in northern France. He was a prodigy at languages and history and soon distinguished himself as a linguist and epigrapher (a student of inscriptions, particularly ancient ones). In 1839, at the age of 19, he received a post at the Louvre and was sent to Egypt to collect manuscripts. But instead, he became infatuated with Egypt and began a career as an archeologist. Mariette was a swash-buckling figure. He firmly believed that Egyptian artifacts should remain in Egypt, and so, on one occasion, when he learned that a local chieftain had stolen some artifacts and was sailing down the Nile to sell them, he organized a group of armed men and took off on a boat in pursuit. He captured the man, recovered the artifacts and presented them to the Khedive. (It has been suggested that Mariette might have been a model for Indiana Jones.) The Khedive appointed him as the first Director of Ancient Monuments in Egypt and then head of a new National Museum of Antiquities in Cairo. While in Egypt, Mariette wrote a short story set in Pharaonic Egypt which he entitled La Fiancèe du Nil (The Bride of the Nile). It was never published, but in 1869, he accompanied Isma'il Pasha to Paris; Isma'il introduced him to Camille Du Locle, a distinguished Parisian playwright and impresario. Du Locle had written several librettos for Verdi: Simon Boccanegra, Forza del destino and Otello, and had collaborated on the French version of Don Carlos. He went on to write a libretto in French based on Mariette's story and presented it to Verdi, persuading him to accept it. The French libretto was passed to another of Verdi's librettists, Antonio Ghislanzoni, who wrote the Italian libretto, and the show was on! But things did not go as planned. Aida was scheduled to premiere as the first production of the new Cairo Royal Opera early in 1871. Sets and costumes were being designed by Du Locle in Paris. But along came the Franco-Prussian War, waged from July 1870 -January 1871. Paris was under siege and Du Locle's sets were trapped. The Cairo Opera House had to open with Rigoletto. Aida finally had its premiere in Cairo in December of that year. Aida was a resounding success. Its Italian premiere was in Milan in 1872 and its US premiere in New York in 1873. It has been a staple of the opera canon ever since. And so this convoluted, unlikely conjunction of circumstance resulted in one of the most beloved operas in the repertoire. Enjoy! For other essays on Verdi's operas Click Here to see the Reading Room at our web site.